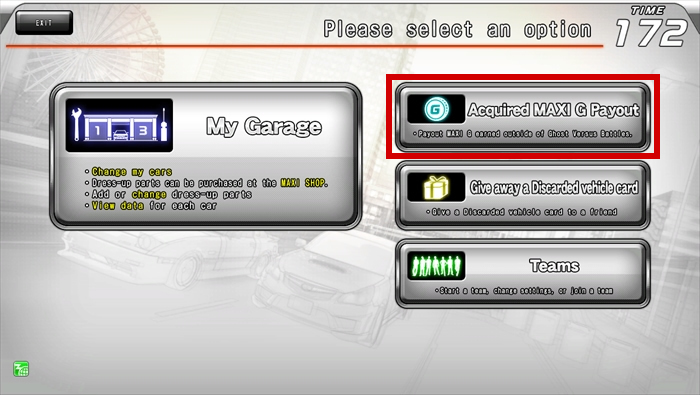 Outside of racing in online ghost versus battles, Maxi G can also be earned through the following methods. In these cases, you’ll need to have your Maxi G paid out through the terminal unit. 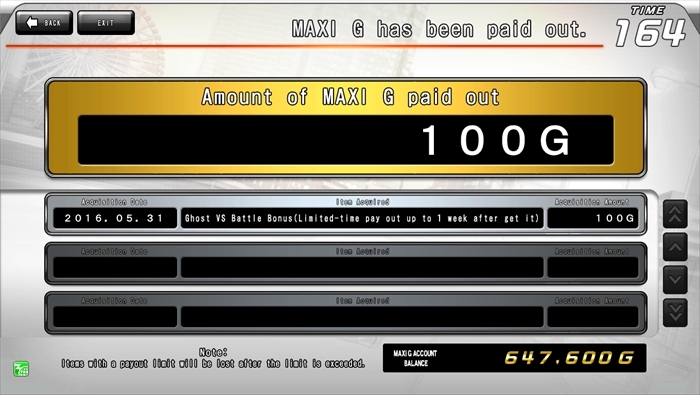 To do this, select “Acquired Maxi G Payout” from the menu screen. Until you select the payout option, it won’t be added to your Maxi G account. ※The bonus for having your ghost challenged will only occur once a day. Also, there is a week deadline for the payout of earned Maxi G. Please note that exceeding this limit will cause your earned Maxi G to expire.